LEGO(R) Minifigure Year by Year: A Visual History shows the evolution of this classic toy for the first time ever, with exquisite photography and fascinating facts about each and every minifigure included. 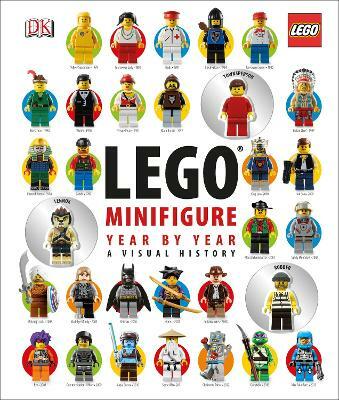 Featuring more than 2,000 of the most significant, popular, and rare minifigures, this engaging reference guide explores minifigures chronologically by theme. Fans will learn little-known facts about their favorite minifigures in this first-ever publishing of the evolution of the famous LEGO minifigure. Gregory Farshtey is an American writer, whose work includes numerous contributions to the LEGO worlds of Bionicle, in the form of comics and graphic novels, and Ninjago, through his New York Times bestselling graphic novel series. With more than 80 books under his belt, he is a writer and editor for Lego Club Magazine and Lego Club Jr. Magazine, and the coauthor, with Daniel Lipkowitz, of LEGO Minifgure Year by Year: A Visual History. Daniel Lipkowitz is a senior writer and story developer at the LEGO Group. His writing has appeared in LEGO Club Magazine as well as LEGO Master Builder Academy, and his characters and storylines regularly appear in new LEGO themes and animated LEGO films. 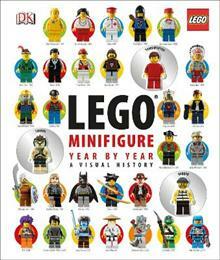 He is the author of The LEGO Ideas Book, LEGO Awesome ideas, and Lego Play Book: Ideas to Bring Your Bricks to Life.